Air France has recently changed its remaining orders for two new Airbus A380 superjumbos to the three of the lighter twinjet A350s, according to Reuters. 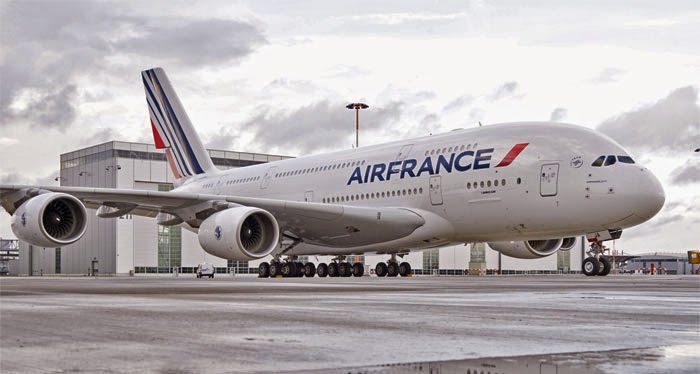 Air France originally ordered twelve A380 aircraft and the cancellation had been expected after the change was flagged in March 2016. The remaining ten aircraft are already in operation. Lately, airlines tend to replace large four-engined aircraft like the A380 to smaller and newer jets like the A350 and Boeing 787, making the former aircraft‘s demand wane. The demand for the main competitor in the segment – Boeing‘s 747. The model saw two its cancellations in January 2017. In January, Airbus registered four new orders overall, or two, after the A380 cancellations. So far the industry projects a slower year, as the airlines continue to take stock after a longer than expected order cycle. It delivered 25 aircraft in January 2017. In 2016, Airbus net orders fell by 32%, concluding to 731 jets. Due to slower demand for aircraft, especially for bigger jets, the company is predicted to target something closer to 600 jets in 2017.